In the interest of expanding the conversation I asked a number of scholars of religion to comment on some of the issues raised in these two blog posts, with an emphasis on the following tension: whereas Safi’s reflections on Islamic Studies stress the role of feminist, post-colonial, and anthropological approaches, and laud scholars who work between the academy and the community for political ends (e.g., see Safi’s edited book Progressive Muslims), Hughes argues that the emphasis on identity politics in much of Islamic Studies contributes to the persistence of apologetics and inhibits the kind of critical scholarship that religious studies ought be striving for. Subsequent to this, more responses were published in a special issue of the Bulletin’s journal, which became the starting point for this book. In this volume a few of the same contributors expand their original pieces, along with five new essays, including an afterword from Russell McCutcheon. And where did the essays in this book take that debate? Two of the main issues that emerge from the essays in this volume include questions about the role of theory in studying different cultures, with particular attention to the legacy of Orientalism and what counts as “knowledge” in Western philosophy; and tensions between apologetics, on one hand, and critical-historical work, especially when it comes to Qur’anic Studies. More specifically, what are some issues that especially intrigued and challenged you among those that contributors to the volume raised? Well, it’s no secret that Islamic Studies is an immensely complex field, as at least two of the essays attest. Devin Stewart’s essay, “A Modest Proposal for Islamic Studies” details an array of competing forms of scholarship in the field and ends with 27 theses on what he believes ought to guide scholars of Islam. Alexandre Caeiro and Emmanuelle Stefanidis’s essay, “Religion, History, Ethics: Rethinking the Crisis of Qur’anic Studies” provides another kind of detail by noting a variety of interested organizations, including nation-states, that have an influence on the study of the Qur’an. These pieces challenged me inasmuch as they call attention to the variety of social forces at play when we consider the global production and circulation of ideas and interests that shape the scholarly discourse on “Islam.” This suggests to me that a unified Islamic Studies is an impossible endeavor, especially when we consider the often diametrically opposed methods and theories that scholars’ employ, along with the various interests at play (to say nothing of the kind of training required for specialization in a particular area). Ruth Mas and Salman Sayyid’s essays also challenged me to consider how the production of knowledge is a contested ground that is deeply tied to culture. This is also a point that Sarah Imhoff makes in her essay, “Jews, Jewish Studies, and the Study of Islam,” as she offers parallel examples in the study of Judaism, noting that while Jewish Studies is overly populated with Jews, much of Western scholarship on Islam has historically been led by non-Muslims. These considerations of how disciplinary aims crash up against scholarly identities calls our attention to the importance of interrogating such questions, especially as the background of scholars of Islam shifts, bringing different perspectives, epistemologies, and concerns to the table. What role critical theories have in addressing this ever expanding universe, and how we measure the boundaries of this field stands out for me as the central question that all of these essays are getting at, in one way or another. Is this book primarily for scholars of Islam, or is it relevant to people working in other fields within or outside religious studies? While this volume will be of interest to scholars of Islam, its main purpose is to ask what, if anything, is different about studying Islam as compared to other religions, such as Judaism and Christianity? Here questions of Orientalism, identity, and contemporary politics are central, especially in the post-9/11 period, as interest in and fear of Muslims/Islam have spiked considerably. 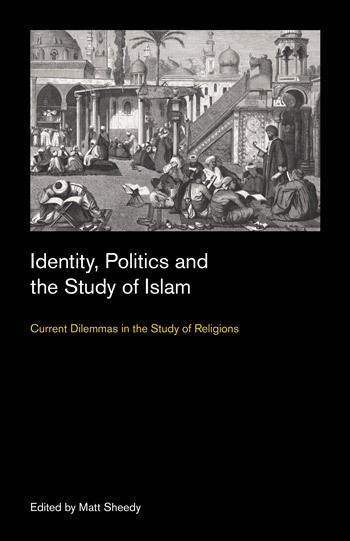 In this sense, this volume reflects an attempt to grapple with, as the subheading suggests, “current dilemmas in the study of religions.” It hopes to provoke readers to reflect on the role of apologetics and identity politics in the study of Islam, while considering what methods and theories are necessary for the study of religion in general to be truly comparative (e.g., grounded in approaches that are both analytic and critical). 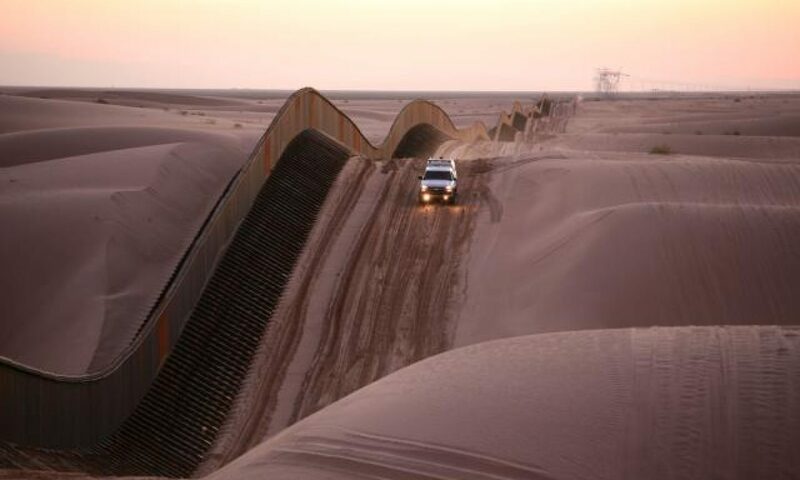 We spend quite a bit of time here at the Edge discussing notions like identity, origins, and social construction – how did these issues relate to this work? When it comes to questions of origins it’s worth underlining that both Caeiro and Stefanidis’s essay (mentioned above) and Carlos Segovia’s essay, “Identity Politics and the Study of Islamic Origins” touch explicitly on some of the challenges that Qur’anic Studies faces in pushing the boundaries of critical historical scholarship in ways that are familiar when it comes to the study of Christian origins. James Crossley’s essay, “The Quest for the Historical: Can Biblical Studies Lead Qur’anic Studies Away from Theology,” focuses on precisely this question (in case the title didn’t give it away!). While some of the essays address questions of identity and social construction directly, these issues are implicit in each and every contribution as the various methods, theories, and objects of study reveal the shifting nature of identity and politics that is always and already constructed by how we prioritize and shape the questions and answers at hand. With the publication of this volume, where have you turned your attention? What is next in your own work? I’m currently working on a collection essays that deal with Euro-Western media representations of Islam, Evangelical Christianity, popular atheism, and Native Americans. Each of these essays is framed within a broader context of post-9/11 culture wars rhetoric and focuses on some of the mechanisms through which these group identities have evolved in the age of social media. Specifically, I’m interested in how new media has opened up space for marginalized voices (e.g., in relation to gender, race, sexuality, decolonization, etc. ), while at the same time creating new forms of identity politics that often structure the logic or framing of these debates (e.g., social justice vs. freedom of speech). I am also working on a longer-term book project that traces a genealogy of the term ‘Islamophobia’ as it went from a relatively obscure idea used by governments concerned with rising discrimination (e.g., the UK’s Runnymede Trust Report, c. 1997), to a mainstream idea that has become enmeshed in other discourses, such as blasphemy, free speech, and ‘Western values.’ Crucially, I plan to dedicate a significant portion of the book to examining how Christian and atheist communities have responded to the charge of Islamophobia, and round things out with a focus on the category ‘ex-Muslim,’ which has begun to see significant variations as groups begin to differentiate themselves from the style of ‘new atheism’ that emerged as dominant in the post-9/11 period.